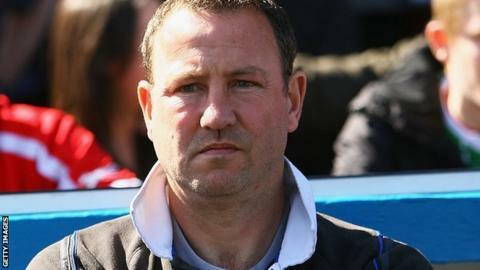 Notts County assistant boss Greg Abbott has backed Charlton loan duo Morgan Fox and Bradley Jordan to make an impact. Neither left-back Fox, 20, nor central midfielder Jordan, 19, have any previous Football League experience. But both players have signed for the Magpies until January 4, coming in alongside Derby striker Callum Ball. "They are young, but Charlton Under-21s won the treble last year, so they are players ready for senior football," Abbott told BBC Radio Nottingham. "Where we are in terms of availability and finance, they tick a few of the boxes. Ideally we'd like tried and tested, experienced players, but at this time of year it's not easy to get that sort." "We we're looking at ones who come highly recommended and can do a nice job and give us a bit of balance and depth." The Addicks pair arrived before Thursday's loan transfer deadline and will hope to feature against Brentford on Saturday as the Magpies bid to give themselves a chance of moving off the bottom of League One with a first victory since the appointment of Shaun Derry as manager. Notts at least stopped the rot in midweek with a hard-fought 1-1 draw at Bradford City, which brought to an end a five-game losing streak. Abbott added: "We needed some depth to the squad and we've had one or two injuries. "Certainly with Morgan, who's a left-back, where we haven't got any obvious cover and Alan Sheehan is carrying one or two little injuries that won't go away. "We also needed some depth in the squad where Brad plays. He plays as an attacking midfielder, one who can get a goal. "He's got a lot of energy and he will give us some variation and we're looking forward to working with him." Notts had also been weighing up a move for West Ham United midfielder George Moncur, 20, but he has stayed at Upton Park. But Abbott insists the former AFC Wimbledon loanee, son of former Hammers favourite John, is not out of the picture altogether. "Last week, George would have been a good one to bring in, but we've got one or two back from injuries and internationals, so it's become less of an issue," he said. "But we'll certainly be monitoring George, we think he's a good player, and he's one we'll be keeping an eye on."